One of the best seasons in Switzerland is definitely winter. Especially when there a thick layer of snow covering the country! One of the reasons to love this time of year so much is because there are so many things to do in Switzerland in winter. Even though I lived in Switzerland for more than 30 years, I haven’t done all of the awesome things you can do during the Swiss winter. Most of the top things to do in Switzerland in winter take place in the Swiss Alps. But there are also some great attractions in other parts of this pretty country during the winter season. The following 15 best activities in Switzerland during winter will most likely make you want to visit this beautiful country (again). If you should decide to book some winter holidays in the Swiss Alps, then you should also have a look at our ultimate packing list for winter holidays in the mountains. One of the most typical things to do in Switzerland in winter is to hit the slopes! This is no surprise, as there are so many great winter sports destinations in Switzerland, that you could visit a new one every year. The vistas are breathtakingly beautiful and the slopes are perfectly prepared. No matter how good or bad you are on skis or a snowboard, there is a slope matching every level of expertise. A lot of Swiss ski resorts are also equipped with fun parks, including kickers, rails and sometimes even halfpipes. Furthermore, freeriders are able to find some amazing off-piste regions with heavenly powder snow. Skiing and snowboarding are the top things to do in Switzerland in February, as this month offers the best assurance of snow with plenty of clear days to enjoy the slopes. The great thing about a toboggan? You don’t need any training to use one. If you’ve ever ridden a sleigh down a hill, you know that thrilling and amazing feeling you get, when the wind blows around your ears. Switzerland has 150 official toboggan runs. Unofficially there are a lot more! Most places with a toboggan run rent out the traditional Swiss Toboggan (starting at about USD 8 a day), so you also get a wonderfully nostalgic experience. You can also ask the hotel you’re staying in if they have Toboggans. Often you get them cheaper or even free this way. In my opinion, riding toboggans is one of the best things to do in Switzerland with kids. 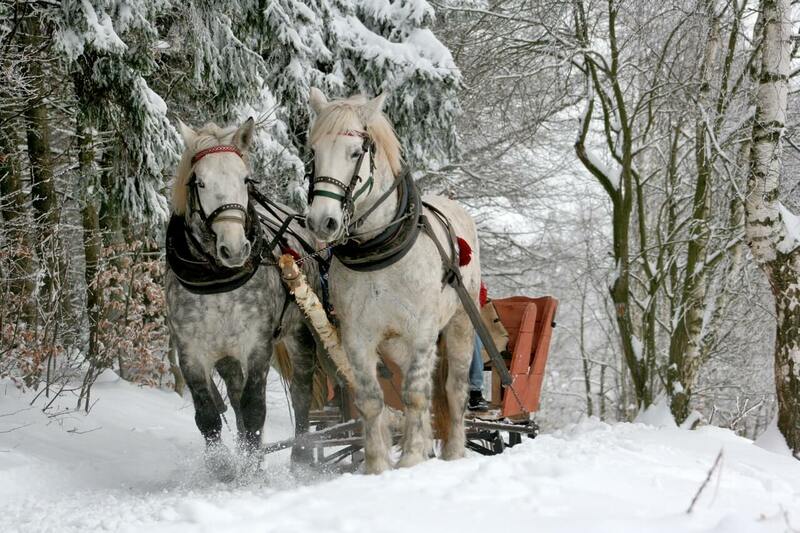 Did you know that the first Swiss winter sports offered to tourists were tobogganing and ice skating? The first ice rink opened its doors in Davos in 1870. Furthermore, it is still Europe’s largest natural ice rink and it’s used for various international art and speed skating championships. Other great natural ice rinks are available in Klosters, Lenzerheide, Arosa, St.Moritz, Interlaken, Gstaad, Saas Fee and many more. Click this link to find an alphabetical list of all ice rinks in Switzerland. Because of the low temperatures, ice skating is one of the best things to do in Switzerland in January. You don’t like steep hills but love to stand on skis? Then this activity is exactly the right thing to do. While it looks super easy and effortless, it is actually a very effective way to exercise. I did it once and felt my muscles burn way more than after a day on a snowboard. One of the best things about cross-country skiing is that you are not in any rush at all. You have all the time in the world to enjoy the beautiful vistas around you. A personal recommendation from me: Après-Ski and a session in a sauna are well deserved after spending a day on cross-country skis. I have to admit, curling looks rather boring if you watch it on TV. But once you try it, you realise that it is actually a lot of fun. Especially if you play together with friends or family. There are about 170 curling clubs in Switzerland. Swing the broom independently or take a course under knowledgeable guidance to discover this underrated winter sport. David McCullough Jr. once said: “Climb the mountain not to plant your flag, but to embrace the challenge, enjoy the air and behold the view. Climb it so you can see the world, not so the world can see you.”. Whoever started a mountain ascent early in the morning and reached the top at the first rays of sun knows exactly what David meant. You can hike in the Swiss mountains either on your own or join a guided tour. For some parts it’s also better to wear snowshoes, so you don’t sink too much in the fresh powder snow. One of the most beautiful places to visit Switzerland in winter for hiking is Zermatt. Sometimes we prefer an easier route. In this case, cable cars and funicular rides are here to help us out. Watch the snowboarders, skiers and toboggan riders speeding down the hill while you slowly ascend the mountain in a motorised vehicle. You don’t necessarily need to do any winter sports to justify a gondola ride up a mountain. The view over the magnificent Alps while you drink a warming “Kaffi Lutz” (coffee with schnapps, a very beloved Swiss winter drink) is reason enough for a cable car ride. The great thing about it is that you don’t have to rent any equipment and can do this in only one day, like for example this Mount Titlis Day Tour from Zurich. If anyone asks me what my favourite food is, then fondue and raclette are always the answers. While it is not forbidden to eat those delicious Swiss dishes in the summer (like I do), they taste definitely hundred times better when it is cold and frosty outside. The melted cheese warms you up from the inside and leaves you with a feeling of utter satisfaction. No matter where you visit Switzerland in winter, you will always able to find a place that serves you Fondue or Raclette (molten cheese with potatoes). And in case you get addicted to this heavenly dish, you are even able to buy all the equipment and ingredients on Amazon. You can also check out my personal recipe here. You simply can’t write a “things to do in Switzerland” article without mentioning chocolate! Switzerland and chocolate belong together like Tom & Jerry, or Batman & Robin. But did you know that you not only can buy and eat Swiss chocolate in Switzerland but also visit a chocolate factory and make Swiss chocolate with your own hands? Click this link to find chocolate factories in Switzerland which offer tours. Alternatively, you can also book a Swiss Chocolate Class in Zurich, where you’ll make chocolate truffles and chocolate soufflé while learning about the history of Swiss chocolate. Making your own chocolate is one of the really cool things to do in Switzerland in winter. One of the most picturesque ways to explore Switzerland in winter is by train. Swiss trains are very clean, punctual and have comfortable seats. While you get pretty views with most of the trains, especially in more alpine regions, there are two trains which are particularly worth mentioning: The Bernina Express and the Glacier Express. The red Bernina Express takes you in panoramic carriages all the way from Tirano to St. Moritz. The highest railway across the Alps climbs up to 2256 metres above sea level where you can take loads of photos of the fantastic winter landscape. The Glacier Express lets you experience the beauty of the Swiss Alps between Chur and Brig. You will travel through the Grand Canyon of Switzerland and the Rhein Valley and soak in all the spectacular views of the magical Swiss Winter Wonderland. With the winter season also comes the Christmas season. And that brings loads of Glühwein (mulled wine), cookies and ideas for Christmas presents. Christmas markets are a big deal in Switzerland. Most of the bigger cities organise one put a lot of effort into it. The most famous Swiss Christmas markets are the ones in Basel, Zürich, Lucerne, Geneva, Bern, Montreux, and St. Gallen. Because I’m originally from Basel, I’m very biased and think the Basler Christmas Market is the most beautiful one (and you are close to the French Christmas market in Strasbourg and the one in Colmar as well). Especially noteworthy is also the Christmas market on Mount Pilatus, because it is the highest Christmas market in Europe. Visiting one of the many Swiss Christmas markets is one of the best things to do in Switzerland in December. Some places in Switzerland offer you to spend some nights in an igloo. While this sounds like a cold experience, they make sure you stay warm and cosy. While certain igloos are already pre-constructed, there is sometimes also the possibility of building your own igloo. Check out, for example, the igloo villages in Gstaad, Stockhorn, Schilthorn, Davos, and Zermatt. Your possible stay for the night? Close your eyes and imagine the following scenario: You are sitting on a pillow on a wooden bench of a horse-drawn sleigh. Your lap is covered with a fluffy, warm and cosy blanket. Your loved one is resting in your arms. Around you nothing but a winter wonderland with trees and traditional Swiss mountain huts covered by freshly fallen powder snow. All you hear are the sleigh bells and the soft gurgle of a streamlet. Is there any better way to spend a cosy day with your love than this? Great options are for example available in Val Bever, the Roseg Valley and in Lauenen. A spa is always a good idea, no matter where you are. But enjoying the views of snowy mountains while relaxing in a steamy, 40-degree Celsius hot outdoor jacuzzi, that’s a whole different level of relaxation. There are many great thermal baths and resorts that offer this kind of relaxation. Some of the best places to go in Switzerland in winter for a perfect spa experience are The Cambrian in Adelboden, the Grand Hotel des Bains in Lavey-les-Bains and the Riffelalp Resort 2222m in Zermatt. Having a spa treatment is definitely one of the top things to do in Switzerland in winter. A lot of Swiss cities and towns look absolutely gorgeous in winter. One of my personal favourite Swiss cities in winter is Lucerne. On sunny days it is the perfect base to plan day trips (for example a trip to the top of Mount Rigi) and on rainy days, there is a lot waiting to be discovered within the city. One of the best attractions in Lucern in winter is, for example, the Swiss Museum of Transport. If you don’t have much time on your hands, then I recommend booking a 2-hour Lucern city tour. You will discover and learn a lot about one of the most beautiful cities in Switzerland. Of course, there are also a lot more beautiful cities in Switzerland. There is, for example, Basel, which is located close to France and Germany and boasts a number of great art museums. There is Bern, the capital of Switzerland, where you can watch a hockey game and cheer for SC Bern, the best-supported ice hockey team in the world outside the NHL. Another great city is Zurich which lies on a beautiful lake and shines with a fantastic nightlife. No matter which city you chose, there will always be something to do for you in the Swiss winter. I can almost promise you that you will love the time you spend in Switzerland in winter. There are so many things to see in Switzerland and some truly awesome experiences that you will want to come back for at least a second time. If you think there is something missing from this list, then let us know in the comments. We’re always happy to get your feedback! I quit my job in October 2017 to travel the world. As a Co-Founder of TripGourmets it is my job and passion to catch all the beautiful moments and places this world has to offer on my camera. Sometimes I also write some articles for our blog.